PG and Research Department of Microbiology, PSG College of Arts & Science, Coimbatore - 641014, Tamil Nadu, India. ABSTRACT: Sericin is a globular protein obtained from degumming of silk cocoon in the silk reeling process. The sericin film was synthesized for the application of antibacterial wound dressing, but it has a low physical property, hence the synthetic polymer was used in the synthesis of highly stable biocompatible film. The PVA based sericin film was prepared by solvent casting method by the addition of synthetic polymers - polyvinyl alcohol (PVA) to give the mechanical stability and the glycerol was added as a plasticizer. The characterization of PVA based sericin film for its antibacterial properties and the swelling ratio was evaluated. 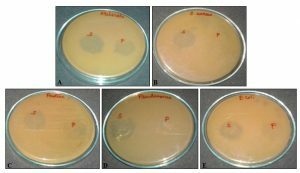 The PVA based sericin film showed significant antibacterial activity for wound pathogenic bacteria such as E. coli, S. aureus, K. pneumoniae, P. aeruginosa, and Proteus species and the swelling ratio of the film was 70% which indicates that the sericin has high moisture holding capacity which improves the wound healing process. The sericin film was also proved that it was biocompatible for biomedical applications. INTRODUCTION: Globally, wound infection becomes a major problem due to the resistance developed by the microorganisms. In the United States, every year approximately 5 lakhs people are infected by wound infection among 27 million surgeries. Roy et al., 1 stated that in Bangladesh more than 50% of people are affected by wound infection, among which 10 - 25% of postoperative infection. The following organisms mainly caused the wound infection: Staphylococcus aureus, Streptococcus pyogenes, Enterococci, Escherichia coli, Klebsiella pneumonia, Proteus species and Pseudomonas aeruginosa 2. It was reported that 62.9% of Gram-positive microorganisms and 37.1% of Gram-negative microorganisms were isolated 1. According to the Centre for Disease Control and Prevention (CDC) and Nwachukwu et al., 3 Staphylococcus aureus was the major causative organisms of wound infection followed by Escherichia coli. The conventional wound dressings were not effective in the healing process due to the inability to inhibit invasion of bacterial pathogens 4. Also, problem encounters due to frequent changing of dressing materials 5. In the last few decades, various natural and synthetic substances were used to synthesis significant wound dressings. The silk cocoon of Bombyx mori is a natural biopolymer which is made up of two proteins: sericin and fibroin. Sericin is water - soluble glycoprotein constitutes 30% whereas fibroin is a hydrophobic glycoprotein constitutes 70% of silk cocoon. Sericin, a gummy substance attaches to the fibroin to give structural stability to the silk cocoon. Silk cocoon was degummed and releases wastewater to the environment approximately 50,000 tons from 1 million ton of fresh silk cocoon annually 6. The discarded waste water causes environmental impact such as high oxygen demand, odor, etc. which affects soil and aquatic organisms. According to Capar et al., 7 for 100 kg of silk production approximately 22 kg of residual sericin was released in the wastewater. The sericin has numerous advantageous properties such as antibacterial, antioxidant, anticancer, anti-aging, coagulant and anti - UV properties 8. So, in the recent year's researchers focusing on silk sericin in various applications: pharmaceutical - drug delivery, biomaterials - tissue engineering, wound dressings 9, cosmetics 10, textiles, food industry 11, 6. However, pure silk sericin was not able to develop a film or membrane because the mechanical strength was low and it becomes fragile. In order, to improve the mechanical strength and flexibility of the film or membrane with the help of synthetic polymers such as Polyvinyl alcohol (PVA) 12. The PVA is a synthetic biodegradable polymer and widely used for biomedical applications due to non - toxic, biocompatible and significant mechanical property 13. Therefore, the present study is to synthesis a PVA based sericin wound dressing to overcome the disadvantage of conventional wound dressings and also to investigate the antibacterial activity, biodegradability, and biocompatibility of sericin based film. Materials: The silk cocoon of Bombyx mori was procured from District Sericulture Centre, Coimbatore. The chemicals sodium carbonate, sodium chloride and Polyvinyl alcohol (1, 40, 00 molecular weight), was obtained from Hi-media, Mumbai. Double distilled water was used throughout the study. The test bacterial cultures were procured from PSG Institute of Medical Science and Research, Coimbatore, India. Extraction of Silk Cocoon: The silk cocoon of Bombyx mori was cut into small pieces and degummed 10 g of the cocoon in 1000 ml distilled water at 120 °C for 60 min along with 0.05 M sodium carbonate. The degummed cocoon was filtered, and the filtrate was centrifuged at 10,000 rpm for 20 min and removes the debris. Then the solution was dialyzed in dialysis tubing against the double distilled water. In the dialysis process, the distilled water was changed every 2 hrs for 48 hrs. After dialysis, the sericin solution was evaporated at 60 °C until become dried, and it was stored in a refrigerator for further study 14. The degumming ratio of silk cocoon was calculated using the formula 15. Preparation of PVA and Sericin Film: The sericin films were prepared using PVA polymer, glycerol (G) and sericin. PVA solution (3.0 %) was dissolved with double distilled water and kept it in a magnetic stirrer at 200 rpm for 4 h to form a clear solution. Than 1.0% (w/v) sericin and 0.2 ml of glycerin was added and placed on a magnetic stirrer 16 and stirred at 300 rpm for 2 h to form a homogenous solution. The solution was cast on Teflon plate and dried in an oven at 60 ºC for 24 h 9. Antibacterial Assessment of the Synthesized Film: The synthesized PVA and PVA based Sericin (PVA + S) film were studied for their antibacterial activity by disc diffusion method (ISO 20645 International Standards Organization) against the wound pathogenic bacterial cultures such as E. coli, S. aureus, K. pneumoniae, P. aeruginosa, and Proteus species. 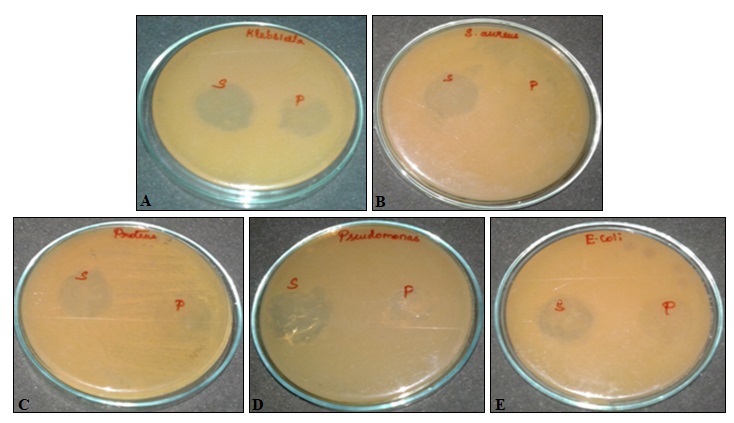 The wound pathogenic bacteria were subcultured in Luria Bertani (LB) broth and incubated at 37 °C for 24 h, and the cultures were adjusted to MacFarland’s standard (10-5 - 10-6 CFU/ml). AATCC agar plates were prepared, and the pathogenic bacterial cultures were swabbed on the agar surface of the medium. The sample PVA and PVA + S films of size 2 cm in diameter were placed on the agar surface and then incubated at 37 °C for 24 h, and the zone of inhibition was measured 17. Fourier Transform - Infra Red Spectroscopy: Fourier transform infrared (FTIR) spectroscopic analysis of PVA and PVA based Sericin (PVA + S) film were measured with Shimadzu FTIR spectrophotometer. The spectrum of the samples was attained in transmittance mode with a 4 cm-1 resolution and 4000 cm-1 to 400 cm-1 spectral range 18. Swelling Behavior: The synthesized PVA and PVA based Sericin (PVA + S) films were cut into 20 mm × 20 mm and kept in an oven at 50 °C for 4 h and the dried weight (SRD) was measured. The dried samples were placed in the phosphate buffered saline and incubated at 37 °C for 12 h then the wet weight (SRW) was measured. The swelling ratio of the sample was determined using the formula 19. Extraction of Silk Sericin: The silk sericin was extracted from silk cocoon of B. mori using 0.05 M sodium carbonate at 120 °C for 30 min, and the yield of the sericin was 28%. The use of sodium carbonate breaks the protein interactions and removes sericin. Namrathasrinivas et al., (2015) 21 has obtained 13.4% of sericin at 0.5% of sodium carbonate in boiling temperature. Gimenes et al., 22 reported that the hydrogen bonding stability of the silk cocoon was decreased while increasing the temperature and the fibroin was not dissolved due to the hydrophobic amino acids. Antibacterial Assessment of the Synthesized Film: The wound infection is a major problem that delays wound healing process. As a result, the development of sericin based antibacterial wound dressings that protect from various pathogenic bacteria as well as improves the collagen production during wound healing process 23. The antibacterial activity of the synthesized PVA and PVA based sericin film were evaluated against the wound pathogenic organisms, and the results were depicted in Table 1 and Fig. 1. The sericin film showed significant antibacterial activity against all the tested pathogenic organisms, and the PVA film without sericin has no antibacterial effect. The maximum antibacterial activity was shown in P. aeroginosa followed by S. aureus, E. coli, K. pneumonia, and Proteus species. The amino acids of sericin inhibit the growth of pathogenic bacteria by attaching to the cell wall which inducing the leakage of cellular components eventually disintegrates the bacterial cell 24. Swelling Behaviour: The water retention capacity of the films was evaluated by swelling behavior and it also plays an essential role in the wound dressings. The swelling ratio of PVA and PVA + S films showed 3.9 ± 0.2% and 70 ± 0.3% respectively. The PVA based sericin film has high swelling ratio due to the presence of hydrophilic amino acids such as serine and glycine in sericin. Sericin maintains the moisturizing effect in the wound which improves the healing mechanisms 19. Haemocompatibility: The biocompatibility of the synthesized PVA and PVA based sericin films were analyzed by ASTM F 756 - 00 (2000) method in-vitro. According to this method, the hemolysis was categorized into three levels: nonhemolytic (below 2%), slightly hemolytic (2 - 5%) and hemolytic (above 5%). The hemocompatibility of PVA and PVA based sericin showed 0.04% and 0.19% respectively. This indicates that the synthesized films were nonhaemolytic and are highly suitable for wound dressings 20. FTIR Analysis of PVA Film and Sericin Film: The FTIR spectra were recorded using a Shimadzu, in the range of 400 - 4000 cm-1 with a resolution of 4 cm-1. The spectra of the PVA film and PVA based sericin film were represented in Table 2 and Fig. 2. The FTIR spectrum of PVA film shows the peak at 3593 cm-1 of O-H stretch free hydroxyl group represents alcohols and phenols. The peaks 3414 cm-1 and 3319 cm-1 of O –H stretch H bonded represent the presence of alcohol and phenols. The C-C stretch (in the ring), C-N stretch represents aromatics and aliphatic amines in the peaks at 1423 cm-1 and 1093 cm-1 respectively. Jia et al., 25 also reported the peaks at 3319 cm-1, 2937 cm-1, 1431 cm-1 and 1093 cm-1 of PVA which represented to OH, CH, CHOH and CO groups respectively. The FTIR spectrum of PVA based sericin film shows the peaks 3325 cm-1 of O - H stretch H bonded represent the presence of alcohol and phenols. The carboxylic acid of O-H and C=O bend at 2924 cm-1, 2715 cm-1, 933 cm-1, and 1720 cm-1 respectively. The aliphatic and aromatic amines of C-N stretch were present at the peak of 1087 cm-1 and 1257 cm-1 respectively. The peaks at 840 cm-1 of N-H wag represents the primary and secondary groups. The peaks at 1589 cm-1 of –C=C- stretch represents the alkenes group. Doakhan et al.24 reported the peaks at 1655 cm-1, 1538 cm-1 and 1245 cm-1 of PVA/SS which was related to amide I, amide II and amide III groups respectively. Also, the peak at 2936 cm-1 and 3302 cm-1 is related to C-H bonds, NH and OH groups. CONCLUSION: In the present study, the synthesis of PVA based sericin film used to treat the wound pathogenic organisms was evaluated. The PVA based sericin film showed significant antibacterial activity and swelling ratio due to the presence of serine. The FTIR spectra showed the presence of amine groups which was responsible for the antibacterial activity. The hemolysis test also proves that the sericin was biocompatible. So it can be concluded that the sericin film is a promising antibacterial substance for wound dressing application. In future research, the in-vitro (cytotoxic activity) and in-vivo studies of the sericin film will be carried out for further biomedical applications. ACKNOWLEDGEMENT: The authors would like to thank the Department of Microbiology, PSG College of Arts & Science, Coimbatore for providing necessary facilities to conduct the studies. CONFLICT OF INTEREST: There is no conflict of interest among the authors for publishing this manuscript. Roy S, Ahmed MU, Uddin BMM, Ratan ZA, Rajawat M, Mehta V and Zaman SB: Evaluation of antibiotic susceptibility in wound infections: A pilot study from Bangladesh. F1000 Research 2017; 6. Simoes D, Miguel SP, Ribeiro MP, Coutinho P, Mendonça AG, and Correia IJ: Recent advances on antimicrobial wound dressing a review. European Journal of Pharmaceutics and Biopharmaceutics 2018; 127: 130-141. Nwachukwu NC, Orji FA and Okike UM: Antibiotic susceptibility patterns of bacterial isolates from surgical wounds in Abia State University Teaching Hospital (ABSUTH), Aba–Nigeria. Research Journal of Medicine and Medical Sciences 2009; 4(2): 575-579. Gupta B, Agarwal R and Alam MS: Textile-based smart wound dressings. Indian Journal of Fiber and Textile Research 2010; 35: 174-187. Ajay V Singh, AS A, N Gade W, Vats T, Lenardi C and Milani P: Nanomaterials: New generation therapeutics in wound healing and tissue repair. Current Nanoscience 2010; 6(6): 577-586. Khyade VB and Yamanaka S: Sericin from the cocoons of the silkworm, Antheraea mylitta (L.) and Bombyx mori (L.) for the reduction in hydrogen peroxide-induced oxidative stress in feline fibroblasts 2018; 3(4): 1-16. Capar G, Aygun SS and Gecit MR: Treatment of silk production wastewaters by membrane processes for sericin recovery. Journal of Membrane Science 2008; 325: 920-931. Kunz RI, Brancalhão RM, Ribeiro LD and Natali MR: Silkworm sericin: properties and biomedical applications. BioMed Research International 2016; 2016: 1 -19. Khalifa BI, Ladhari N, Nemeshwaree B and Campagne C: Crosslinking of Sericin on-air atmospheric plasma treated polyester fabric. The Journal of the Textile Institute 2017; 108(5): 840-845. Yang YY, Lee SM, Lee HS and Lee KH: Recovery of silk sericin from soap-alkaline degumming solution. 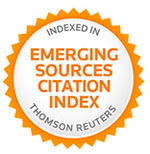 International Journal of Industrial Entomology 2013; 27(1): 203-208. Kim HH, Kim MK, Lee KH, Park YH and Um IC: Effects of different Bombyx mori silkworm varieties on the structural characteristics and properties of silk. International journal of biological macromolecules 2015; 79: 943-951. Aramwit P, Ratanavaraporn J and Siritientong T: Improvement of physical and wound adhesion properties of silk sericin and polyvinyl alcohol dressing using glycerin. Advances in skin & wound care 2015; 28(8): 358-367. He H, Cai R, Wang Y, Tao G, Guo P, Zuo H, Chen L, Liu X, Zhao P and Xia Q: Preparation and characterization of silk sericin/PVA blend film with silver nanoparticles for the potential antimicrobial application. International journal of biological macromolecules 2017; 104: 457-464. Maddinedi SB, Sonamuthu J, Yildiz SS, Han G, Cai Y, Gao J, Ni Q and Yao J: Silk sericin induced fabrication of reduced graphene oxide and its in-vitro cytotoxicity, photothermal evaluation. Journal of Photochemistry and Photobiology B: Biology 2018; 186: 189-196. Gimenes ML, Silva VR, Vieira MG, Silva MG and Scheer AP: High molecular sericin from Bombyx mori cocoons: extraction and recovering by ultrafiltration. 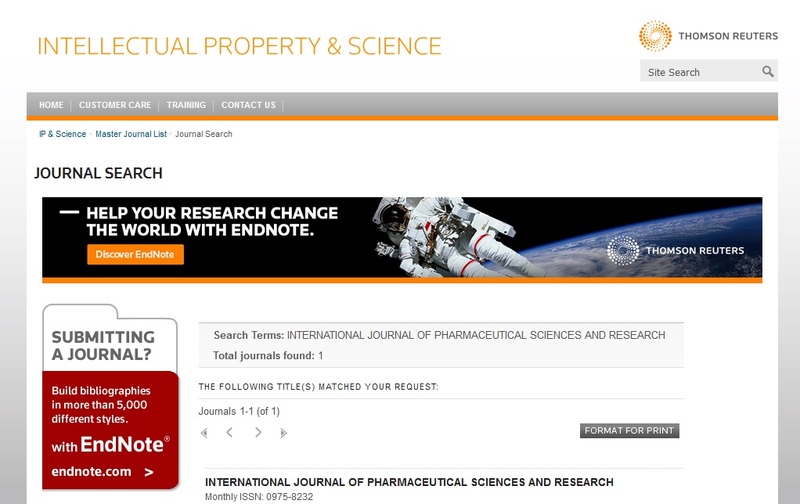 International Journal of Chemical Engineering and Applications 2014; 5(3): 266. Calo E, Ballamy L and Khutoryanskiy VV: Hydrogels in wound management. Hydrogels: Design, synthesis and application in drug delivery and regenerative medicine 2018; 128: 136. Doakhan S, Montazer M, Rashidi A, Moniri R and Moghadam, MB: Influence of sericin/TiO2 nanocomposite on cotton fabric: Part 1. Enhanced antibacterial effect. Carbohydrate polymers 2013; 94(2): 737-748. Jia YT, Gong J, Gu XH, Kim HY, Dong J and Shen XY: Fabrication and characterization of poly (vinyl alcohol) / chitosan blend nanofibers produced by electrospinning method. Carbohydrate Polymers 2007: 67(3): 403-409. Abirami M, Shayanthi SS and Rajendran R: Synthesis and characterization of PVA based sericin film for antibacterial wound dressing. Int J Pharm Sci & Res 2019; 10(2): 875-80. doi: 10.13040/IJPSR.0975-8232.10(2).875-80. Authors Address: PG and Research Department of Microbiology, PSG College of Arts & Science, Coimbatore, Tamil Nadu, India.